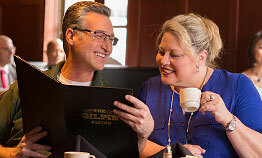 The Gilpin Casino | Fabulous food, friendly staff and 24-hour gaming excitement! Enjoy your favorite foods at Lucille’s! 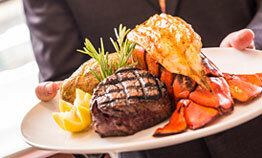 Bring your appetite to Lucille’s! Come Experience All The Gilpin has to Offer! Fabulous food, friendly staff and 24-hour gaming excitement – The Gilpin’s Got It! Winning comes easy with our non-stop casino action and the most rewarding Winners Club in Colorado. Our Sudden Strike Jackpots could hit any time, any spin. Join in exciting table game action in the Winners Circle or play the newest slot machines. Plus, Extend your fun at The Gilpin every weekend beginning 7am Thursday morning through Sunday with our new non-stop cocktail service. 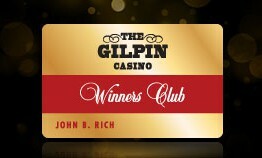 Sudden Strike Jackpots – only at The Gilpin! The Gilpin’s got the only progressive jackpots that can hit at any time, and any spin. Just use your Winners Club card and you could be the next lucky Major or Minor Strike winner!